While recording “Acoustic Introduction,” Simon and Dennard built the EP’s organic sound around the acoustic guitar and simple instrumentation, including a cardboard box and human percussion. “Acoustic Introduction” also features Simon’s signature finger-plucking guitar technique, which he developed while listening to blues greats Lightnin’ Hopkins, B.B. King and Albert King. While he didn’t grow up in a musical family, Simon’s artistic journey began with a dusty old Gibson acoustic guitar he discovered under his uncle’s bed one day. He approached his uncle about playing the guitar and learned it had originally belonged to his grandfather. As a burgeoning player, Simon instantly fell in love with the acoustic guitar. He’s built a strong relationship with the acoustic guitar after years of strumming, finger-plucking and experimenting with the instrument’s tone. It complements his soulful sound and persona as an authentic, spiritual, passionate, romantic and classic artist. 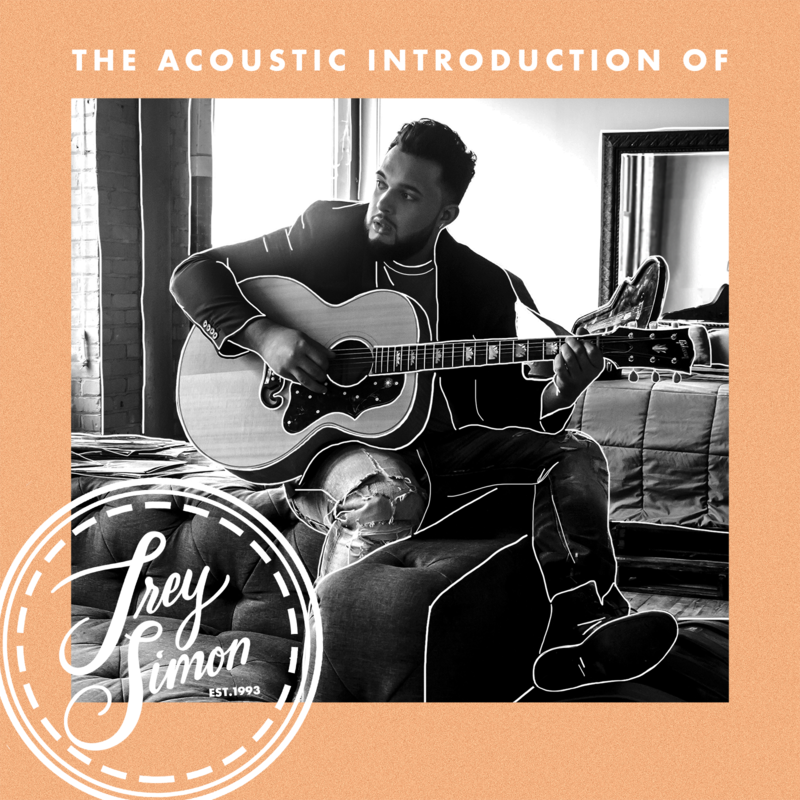 While he’s been on the Detroit music scene since 2012, Simon’s melodies on “Acoustic Introduction” are an eclectic mix of soul, pop, gospel, jazz, R&B and rock with a Motown vibe. He’s inspired by a cadre of iconic artists, including John Legend, John Mayer, Stevie Wonder, The Dramatics, The Stylistics, Onyx and Nat King Cole. Besides crooners, Simon also developed a deep appreciation for the modern-day singer-songwriter, especially Legend. His 2004 smash debut album, “Get Lifted,” catapulted Simon in a fresh musical direction. Simon sought additional inspiration from the artists who would drop by Dessert Oasis Coffee Roasters in Rochester. An employee since 2010, Simon would cross paths with emerging artists on open mic night as well as R&B legends Anita Baker and Philip Bailey from Earth, Wind & Fire. It served as the ideal venue for writing music, performing and growing as an artist. For Simon, the ultimate musical experience included opening for Patti LaBelle in October at Detroit’s Motor City Casino. After his set, LaBelle gave a shout-out to Simon in front of nearly 3,000 attendees that night. “She’s like, ‘Trey Simon, well listen here, I fell in love with your voice, and we’re going to be doing more shows together in the future, so keep your eye out,’” Simon said. Simon also cut his live performance teeth after opening for Andy Grammer at The Crofoot Ballroom and Andra Day at Saint Andrews Hall and playing headlining shows at Café Mahogany, Nandi’s Knowledge Café and the Jazz Café. Since releasing “Acoustic Introduction” in July, Simon has been recording tracks for his first full-length album with Dennard and co-writing songs with Grammy-nominated songwriter Ashley Rose. To date, he’s cut five or six songs and written nearly 30 for the album, which will feature horn and string arrangements as well as a grand piano. In addition to writing and recording, Simon will be playing two live shows later this month – Sept. 28 at Embers Venue in Rensselaer, Ind., and a Sept. 29 Sofar show in Cleveland. The Sofar show venue will be announced later this month. Simon believes his upcoming full-length album and growing roster of live shows are the next crucial steps in his evolution as an artist. He’s ready to bring more fans along on his musical journey.